The Bombay High Court has granted bail to Sadhvi Pragya Singh Thakur in the Malegaon blasts case. The bail order comes a few weeks after the National Investigation Agency had given her a clean chit. Sadhvi Pragya has been directed to furnish a bail bond of Rs 5 lakh and surety of the like sum. She has also been directed to surrender her passport to the NIA and appear on the trial dates. In further relief to Sadhvi Pragya Singh Thakur, the National Investigation Agencyhas given her a clean chit in the Ajmer Dargah blasts case. 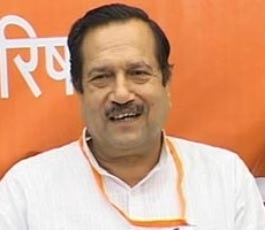 The NIA also cleared Rashtriya Swajamsevak Sangh leader Indresh Kumar in the case. 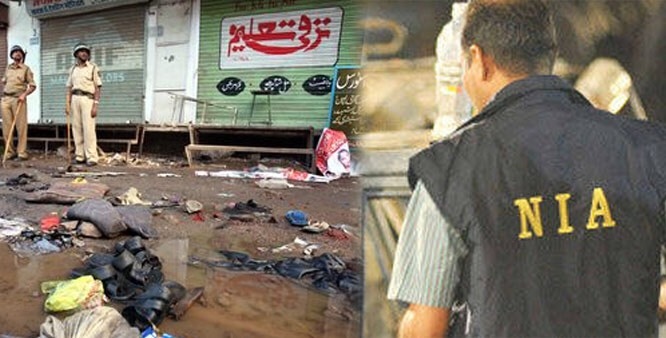 The trial in the Malegaon blasts case is expected to see several twists and turns. The case has seen multiple twists and turns ever since the probe began. The Maharashtra ATS which probed the case concluded that it was a group of Hindus who carried out the blasts. It also named Sadhvi Pragya Singh in the case. Mumbai,June 28: The Special National Investigation Agency Court at Mumbai rejected the bail plea filed by Sadhvi Pragya Singh an accused in the Malegaon 2008 blasts case. The order was passed by Sripad Tekale the special judge in the case. New Delhi, Sept 21: A sessions court will begin hearing on the Sunil Joshi murder case from September 28th onwards. 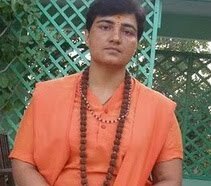 The court had framed charges against Sadhvi Pragya Singh and seven others in connection with the murder of Sunil Joshi a former pracharak of the RSS. The case which was investigated by the NIA stated that Joshi was shot dead on December 29 2007 at Dewas in Madhya Pradesh. It was stated in the probe that the plot to kill Joshi was hatched by Sadhvi Pragya and others. With the Supreme Court dropping charges under the Maharashtra Control of Organised Crime Act (MCOCA) against the accused in the Malegaon blasts case, the entire case needs to be looked at afresh. There has already been a major delay in the case considering the Malegaon incident occurred in 2008. In the year 2011 it was transferred to the National Investigating Agency and an FIR was filed. The filing of the cases against Colonel Purohit or Sadhvi Pragya Singh was considered by many as a vendetta by the UPA government. Today with a new government in New Delhi, many feel that these cases would be re-looked. Colonel Purohit has even written to the Prime Minister seeking his intervention into the case and having him released from jail where he has been for a little over 5 years now pending trial. The Home Ministry would however tread carefully on this matter and sources in the ministry tell rediff.com that the government would prefer not to interfere at this stage since the matter is pending before the court. It would be apt for the judiciary to take a call on this matter. What the government would ensure however is that these cases are investigated soon and the matters disposed off quickly. The same decision is also likely to be taken in the case of Sadhvi Pragya Singh too. The dragging of Indresh Kumar’s name into the Malegaon blasts case had threatened to shake the RSS up. However today the National Investigation Agency has with it a testimony which clearly states that the RSS was never in favour of carrying out bomb blasts. According to the NIA investigation, Indresh Kumar had met with Sunil Joshi in Jaipur a few months before the Malegaon 2006 blasts. During that meeting, Joshi had told Kumar about the plan to carry out an attack in Malegaon. However Kumar is said to have told Joshi that neither he nor the Sangh would approve of this act and there shall be no support for an act of terror. The NIA has this testimony from an RSS pracharak who was part of this meeting between Joshi, Sadhvi Pragya Singh and Kumar at Jaipur.